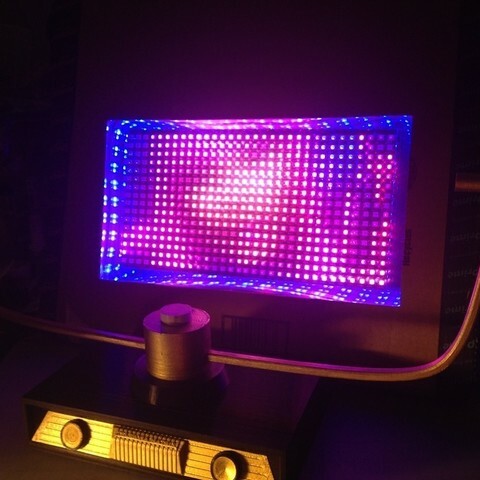 ##The Teleavia Matrix is a full-color, 512 LED, NeoPixel matrix video monitor run by Processing and driven by FadeCandy. 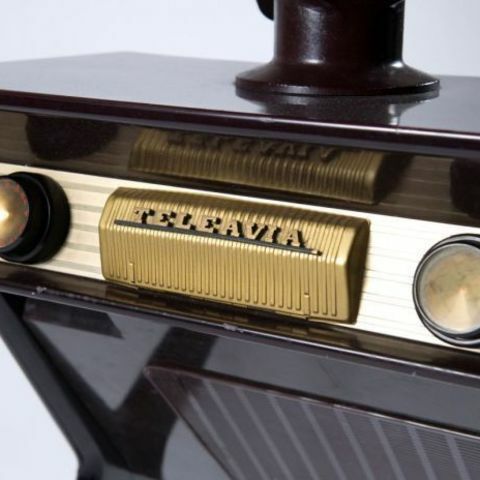 The Teleavia Matrix's name and design are a tribute to the Art Deco, Teleavia Panoramic 111, a beautiful French television set released in 1957. The Panoramic 111 was a High Definition television capable of 819 lines, which is considered HD even today. This is a work in progress. Please view the Instructions notes before downloading and printing. 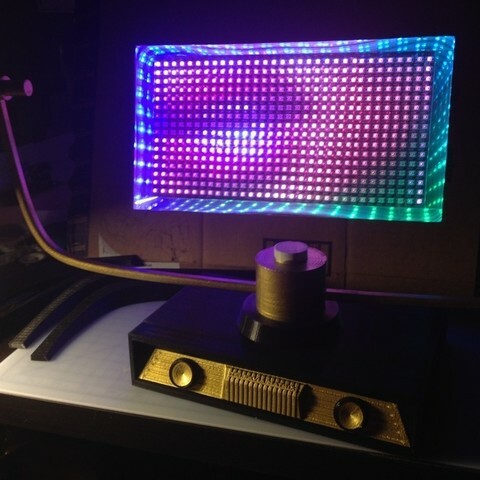 I've always wanted to create an infinity mirror, so I decided to take it a step further by making one that plays video on a "floating" LED matrix while looking good too. The monitor encloses a custom cut mirror and two-way glass to produce the "infinity mirror" effect around the matrix resulting in a screen that appears to float in space. Use it to display photos, video, or run your own Processing sketches. 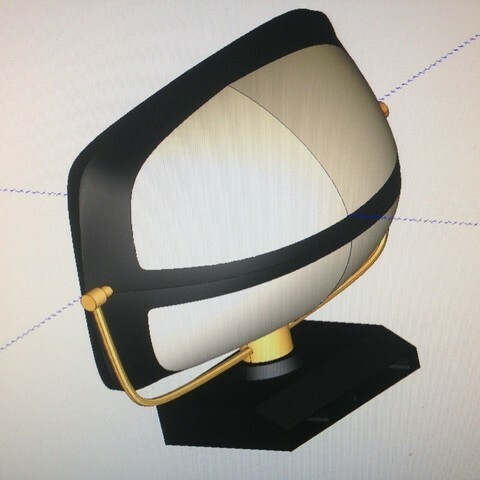 I modeled this design to enclose a 32x16 NeoPixel LED Matrix and a NeoPixel LED strip. 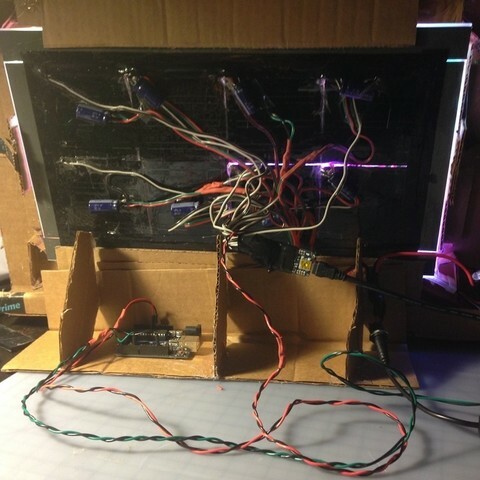 The 32x16, 512 LED NeoPixel Matrix is driven by a single FadeCandy board. 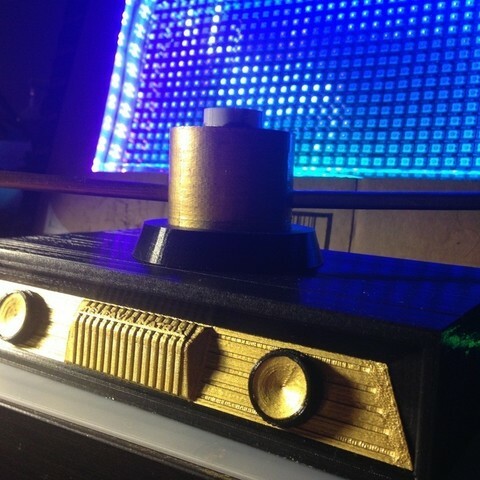 The NeoPixel strip is driven by an Arduino UNO. 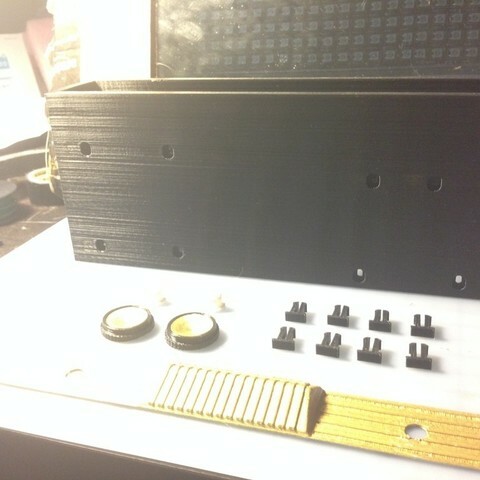 The cabinet contains countersunk mounting holes for an Arduino UNO and Raspberry Pi Model B (Model B 2). 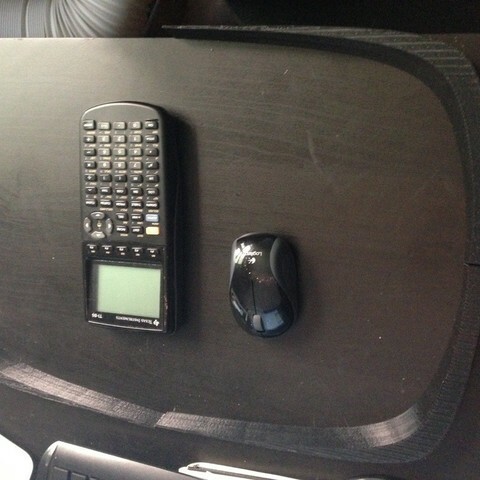 The monitor can be entirely driven by a Raspberry Pi and FadeCandy. The design incorporates printable snap pegs for assembly. 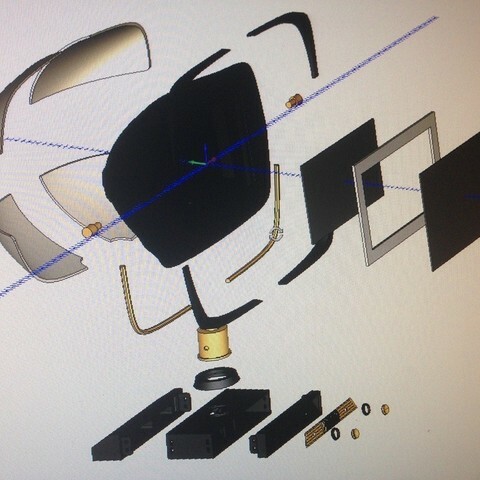 The monitor can rotate a total of 120 degrees to accommodate your seating position. Just to be clear, the "monitor" currently shown in the photos was made of cardboard and hot glue. Your printed monitor will provide the necessary fitments and alignments for the glass panels, matrix, and NeoPixel strip resulting in a much cleaner look with straight LED's about the edges. 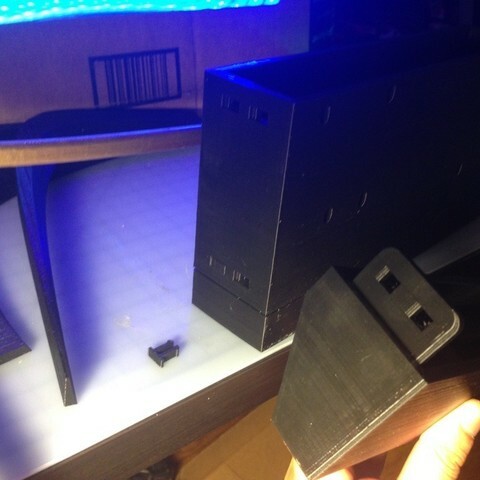 IMPORTANT UPDATE (8/1/15): After 6 straight days of printing, the monitor is done. Unfortunately, the assembly process for the monitor is much too involved. 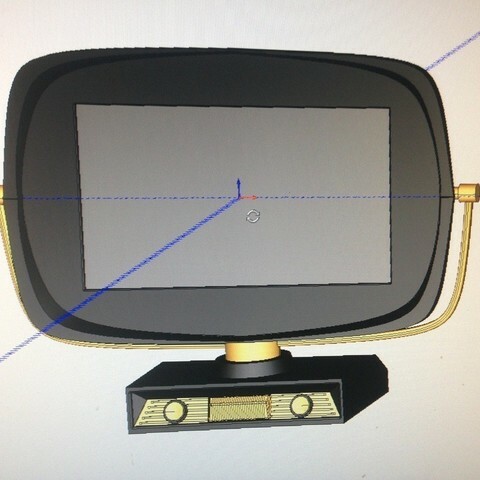 So I will be redesigning the monitor pieces for easier assembly. Please bear with me as I redesign, reprint, and test the assembly procedure. In the mean time, all other files provided currently are good to go. Please review the printing settings I used to get the most reliable print under the heading "Printing Tips" below. 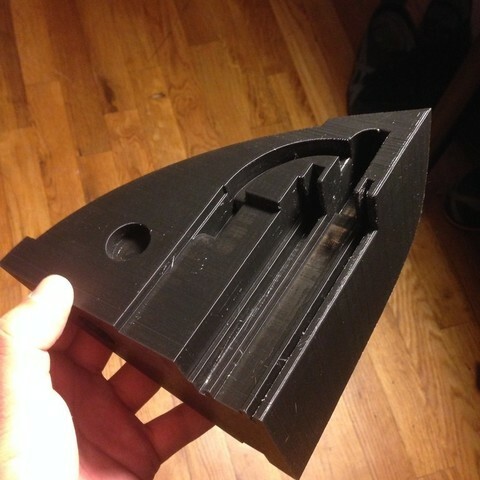 I suggest you print "TMFastenerTestKit.stl" first. 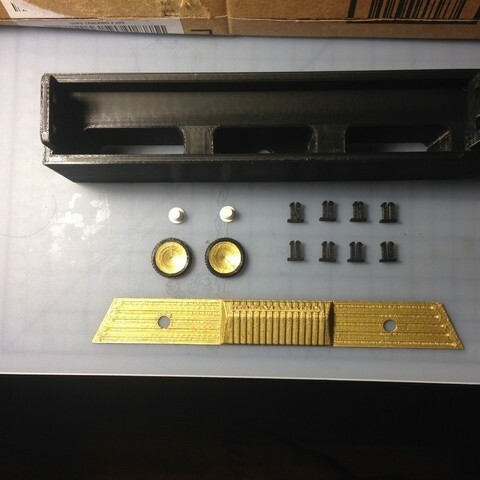 This file contains a snap peg and walls so you can test the fasteners and your machine's printing ability. 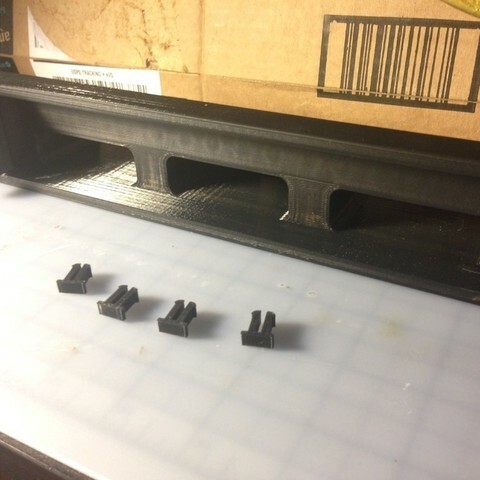 These hole dimensions and snap pegs are used throughout the cabinet enclosure. Once this has been verified you can go ahead and print the snap pegs provided as an individual file, "TMFastener.stl." The Teleavia Matrix is a very large print that should not be rescaled if you plan to fit electronics. 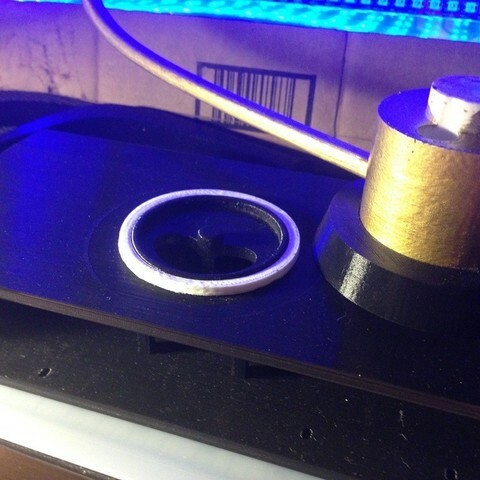 The holes for the knobs can be used with any 1/4" shaft potentiometers. Processing and Arduino code will be released once I finalize it. 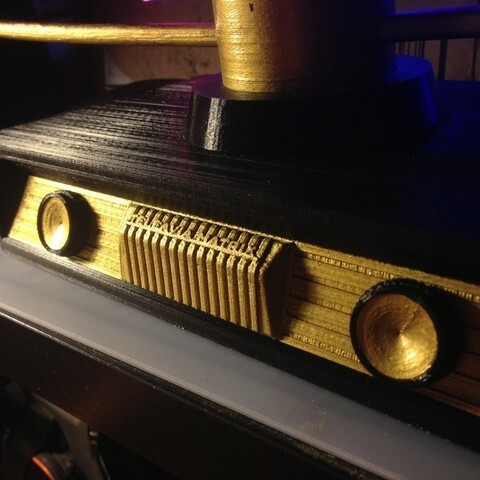 Final video and pictures of the Teleavia Matrix will be uploaded when the final prints are finished. Never used NeoPixels before? Here's Adafruit's NeoPixel guide. New to FadeCandy? Here's Adafruit's FadeCandy guide written by the talented Micah Scott. 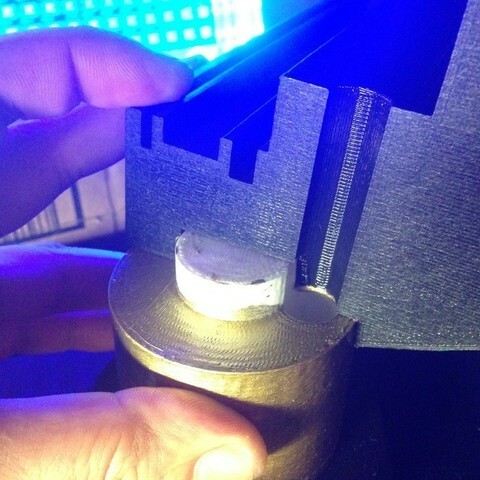 Highly recommended that "TMFacePlate.stl" and "TMKnobCenter.stl" are printed at 0.1mm resolution for best detail. 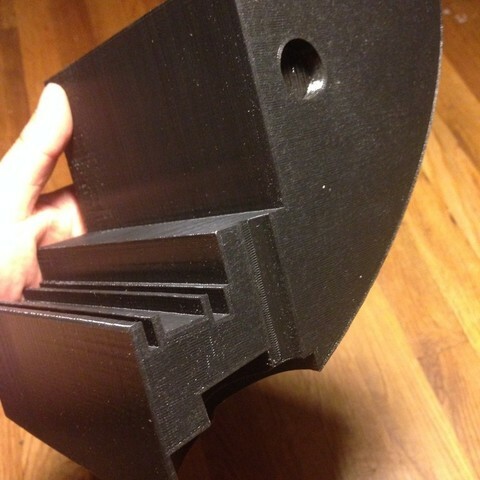 5% infill for large monitor sections. The cabinet enclosure is divided into three main parts (A, B, C). You will need 8 fasteners total from the file "TMFastener.stl." 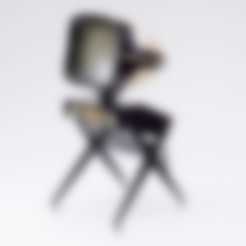 You will need 8 pegs total from the file "TMMonitorPeg.stl." All other files only need to be printed once. I used glass for this project and had it cut by my local glass cutter. 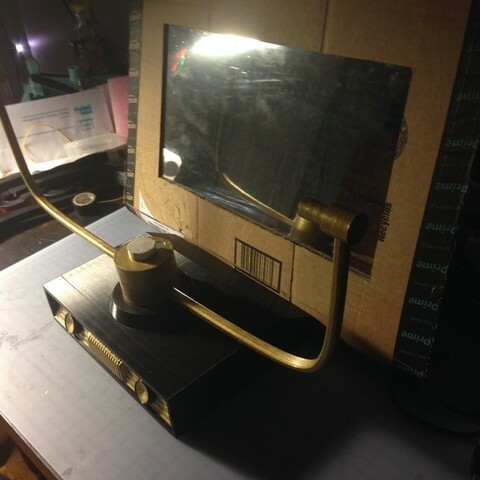 Alternatively, you can use mirrored plexiglass or acrylic. The two-way mirrored glass is a transparent glass panel with a film I purchased then applied to the glass.